If you ever get into a car accident or experience a serious impact of any kind, you may have ended up with a very sore or stiff neck. That is because the neck is not a strong enough muscle to handle the weight of your head being thrown or jerked quickly in one direction. Many come to us for Whiplash Treatment in one of our 3 offices around Los Angeles and Orange County. When a force, like a moving car, large object or another body, hits you, it causes your head to move in a different direction than the rest of your body. The neck is not able to keep your head in line with the body during this impact, so your head goes from lagging behind the body to overshooting the body in the direction of the impact. 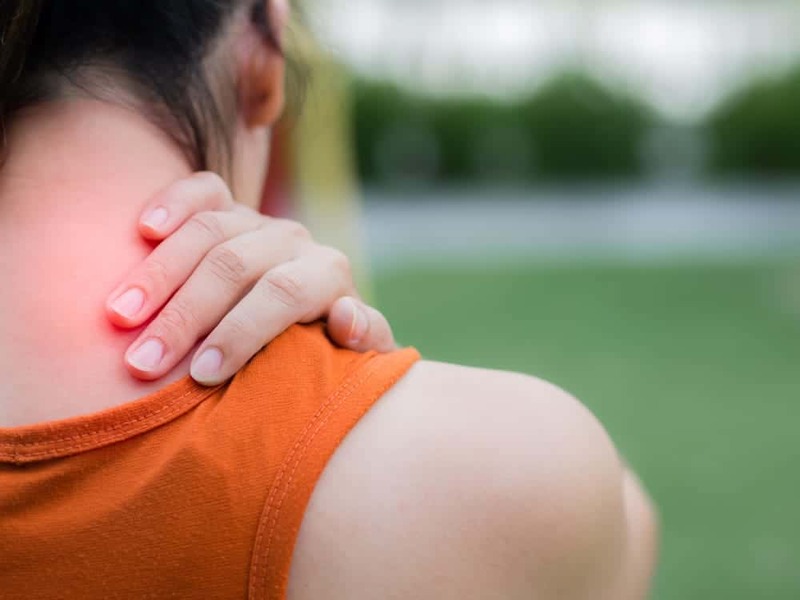 This whiplash motion of the head often causes severe muscle strains in the neck and upper shoulders that can lead to stiffness, pain or headaches. In some cases, the whiplash can lead to severe injury in the spinal cord. In most cases, treating the whiplash with massage, chiropractic adjustments and strengthening therapy is the best thing to speed healing and reduce discomfort. In most cases, car accidents, falls, or sports injuries are responsible for whiplash. Often, whiplash injuries are not felt until the next day or two. Avoiding care for whiplash and neck injuries can lead to longer healing periods and loss of mobility. Your chiropractor can assess the injury immediately to help you get on the fast track to healing. Pain after whiplash isn’t easy to ignore. You will notice tenderness in the neck muscles and may feel sharp spasms when turning your head or nodding. You may not be able to look very far over one or both shoulders. You may experience headaches that radiate from the bottom of the skull to behind the eyes or the forehead. If you are in an auto accident at all--even a small one--you should call your chiropractor immediately to get checked out before the neck pain even starts. As soon as the accident occurs, icing the neck is a good idea to help reduce inflammation. Use ice for 15 minutes every 3-4 hours. While we do not recommend medications, if you are experiencing pain you could take an ibuprofen to reduce inflammation. Painkillers only mask symptoms and do little to treat the problem. They can also cause other problems with Because neck injuries can be very serious, you need to call a doctor right away. Your chiropractor will be able to X-ray your neck to ensure there are no breaks in the spinal column before starting treatment. If you are experiencing severe weakness, trouble talking, excessive sleepiness, unconsciousness or confusion, you need to seek emergency medical care immediately. Chiropractic Adjustment: Aligning the spine will help ease strained muscles and keep tight muscles from causing secondary issues. Massage therapy: Relaxing the muscles surrounding the neck, upper shoulders and base of the skull is key to alleviating the discomfort and improving the neck mobility. Massage therapy helps release the toxins in the muscles, decreases tension and gets the blood moving to the areas that need healing. Pilates: A regimen in strength and stretching can help heal and balance the body, restoring power to muscles that were weakened or strained from an accident or injury. Stronger muscles prevent the reoccurrence of injury and the process of controlled strengthening helps the injured muscles to heal. Stretching: Keeping muscles flexible and loose will help avoid injury from tension. When neck injuries occur, it is important to keep the surrounding muscles long and relaxed (not tight and contracted). Decompression Therapy: Depending on the issues related to your accident, injury or trauma, decompression may be a good option for extending and relieving pressure on the spine. Bulging or herniated discs often are relieved with the use of decompression therapy. Cryotherapy: Exposing the body to cold temperatures with cryotherapy should only be done under the supervision of experienced professionals (like our team here at Zaker Chiropractic). The cold, whole-body therapy often reduces pain and can help improve healing in injuries with inflammation. …and more to help ease your discomfort and start the healing process. Your chiropractor is also your car crash doctor--able to provide the expert opinion and medical documents you may need if you have to go to court or work with insurance companies. Call us today for your next appointment at Zaker Chiropractic in Torrance, San Pedro or Newport! For more answers about how we can help you relieve pain without drugs or surgery, make an appointment with Zaker Chiropractic. Our chiropractors provide a wide variety of services. Zaker Chiropractic has several locations to serve you. Call (949) 734-4454 for an appointment in Newport Pain & Wellness in Newport Beach, (424) 235-1562 for South Bay Pain & Wellness in Torrance, or (310) 831-0003 for an appointment with San Pedro Pain & Wellness in San Pedro. Each clinic offers a multidisciplinary list of services.